Different niches can work for you in different ways. Some may draw in more traffic, but suffer from low conversion rates or small affiliate commissions. Other niches may not have the biggest target market, but the audience is more engaged and interested in spending big. Knowing which one is best suited for you is key to a successful marketing campaign. Before choosing a niche, consider which direction you want your website to go. Do you want to increase your page rank and draw in thousands of views for your ads? Or do you want to develop an authority and build a list of loyal visitors that visit your website daily? Listed below are three evergreen niches that will see you through 2018. People always have and always will want to be more fit and healthy. 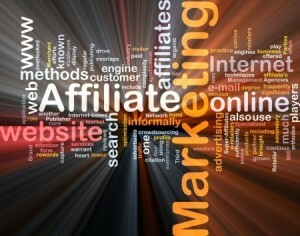 Luckily for affiliate marketers, there’s a multitude of products available to capitalize on. Whether it be the next best weight loss pills, or simply a great pair of running shoes, your options are endless. There are a variety of subtopics to choose from, each with their own growing audience and products. This includes weight loss, smoking, healthy eating, diets and general fitness topics such as lifting and running. It’s worth noting that there are already thousands of websites that cover these topics, so it’s up to you to figure out where you can slip in and work your way up in the rankings. With the necessary technology becoming more affordable and accessible than ever, gaming has become the hobby of choice for countless people around the world. The rise of the mobile gaming industry has made many developers and businessmen overnight millionaires. Adults are playing games more than their children and those games are getting more and more complex, forcing players to look online for help. Digital sales are outnumbering those of physical copies, giving affiliate marketers the chance to direct their traffic to these online merchants. There are endless topics to choose from here, including mobile games, guides, online gambling and free games. The hobby niche encompasses a variety of subtopics, each with their own advantages and challenges. Most involve owning an item or collecting numerous items, which means there are plenty of products to market. The great thing is that there are always people who are new to a hobby and need to find information on it, or a how-to guide. This is probably one of the best places to set up shop. People will obviously be more open to spending large amounts of money on something they love, so don’t be afraid to link to more expensive products. Some great evergreen hobbies to choose from include guns, gardening, cars, fashion and woodworking. Don’t be afraid to experiment and dabble in niches that are currently trending. Your success may be short-lived, but the opportunity to make more than just a quick buck is there. Imagine what could have happened if you made a website about fidget spinners in early 2017? Does Affiliate Marketing Work for Luxury Brands? Great post, thanks for sharing. Choosing the right niche is quite crucial, the biggest challenge of my own online career was choosing a niche I knew Nothing about. I agree, never think you cannot compete because you can. It all depends on how badly you want to succeed and how hard you’re willing to work in order to gather enough knowledge to get recognized as a professional.